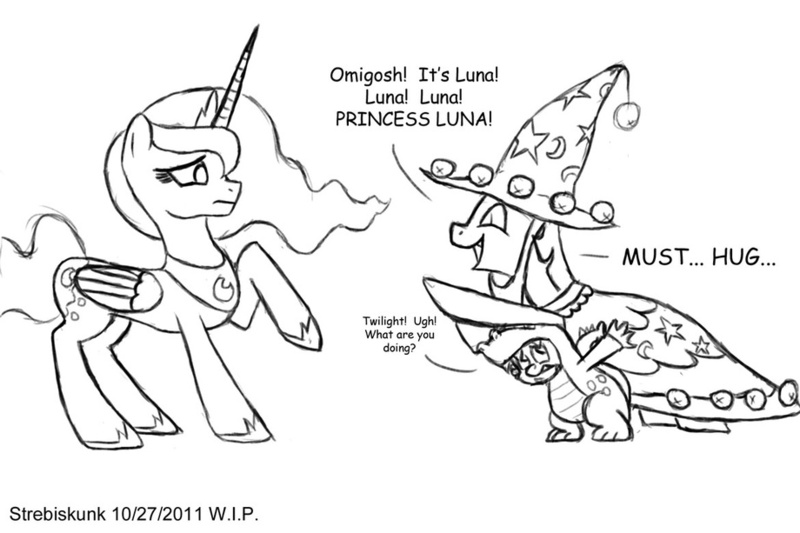 For some reason, Twilight's initial reaction to Luna in "Luna Eclipsed" made me really, really happy. Just as a side note, I generally have a hard time drawing dragons, so drawing a dragon IN a dragon costume was just... awful. I love Spike, but I can't think of any other way to describe trying to draw him here.